Creating a discount on your Wave invoice is as simple as adding another product line item with a negative price. Just remember, if you charge tax, to apply tax to the Discount item too! 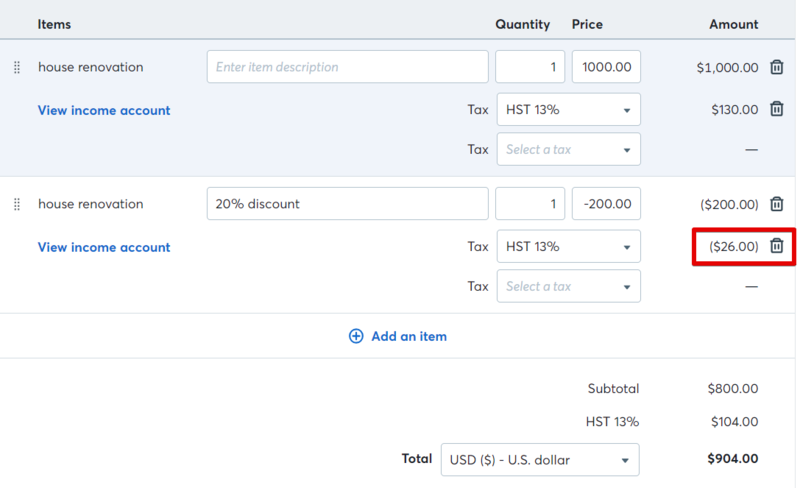 On your invoice edit page (existing or new), enter a product for the full price. In this example, we'll use Blueberry Cupcakes as the first product. Click the Add a line button. Since you're giving one discount, set the Quantity as 1. In the Price field, enter the discount amount as a negative number. In this case the amount discounted is -200. If you have a sales tax added to the original product, you will need to add a sales tax on the discount line as well. Wave will then calculate the negative tax amount for you. Click Save when you're done creating your invoice. Your accounting will not change if you save as draft, but it will if you save and approve draft. If you want to see how much money has been given in discounts, this will be a debit on your income account. Go to the Reports section in your Wave menu, then Account Transactions report and pull up your income account. If you want to see how much money has been given in discounts, this will be a debit on your income account. Go to the Reports section in your Wave menu, then Account Transactions report and pull up your income account. 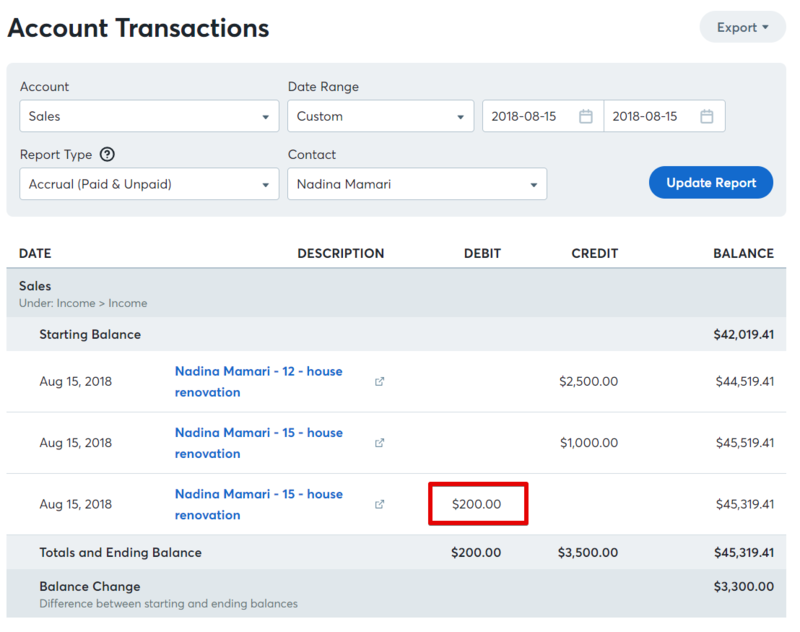 See the example below where the $200 is shown as a debit.